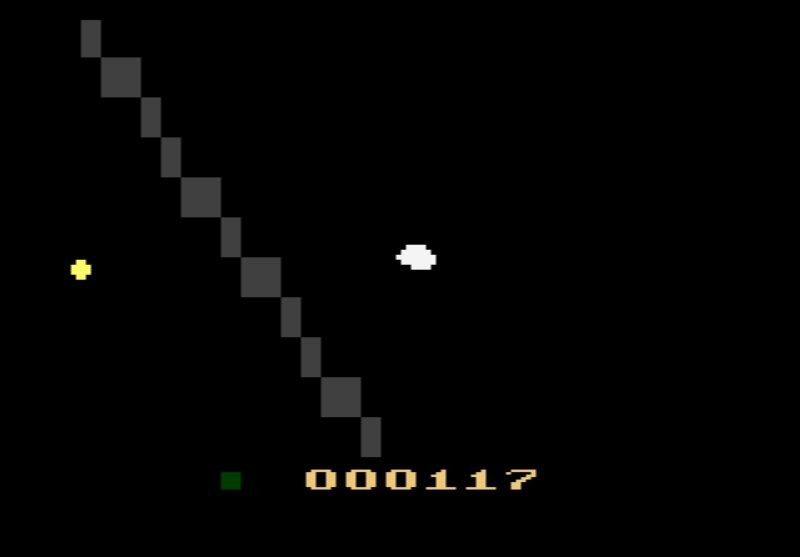 Astronomer is the first Atari 2600 game by Alex Pietrow. 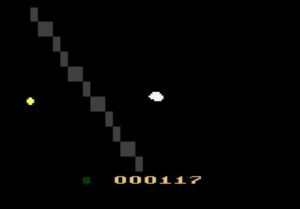 It is a simulation game of sorts that allows the player to get into the shoes of an astronomer and observe stars with the world’s largest telescope. The aim of the game is to aim the telescope beam at a star and observe it troughout the night. This is achieved by filling up an ‘observing bar’. However if the astronomer takes pictures of clouds while observing a star, the entire observation will be ruined and the astronomer will have to start over. This can make his or her life difficult as there is only a certain amount of time alocated to this one observer. Once this time is up, the game is over. Just like in real life, the observer who can do the most with their time will be considered the best, but this always will partially rest on luck. Can you get the high score?